Pope Francis was awarded the top spot on Fortune’s 2014 list of the World’s Greatest Leaders. Pope Francis was able to breathe life into an aging institution, reinvigorate a global base of people around the world, refocus attention on core values, and create a new image for one of the most visible leadership positions on Earth. He didn’t strong-arm his way to the top. 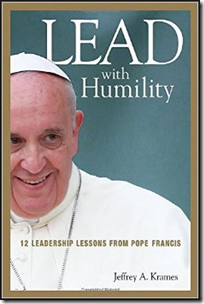 Pope Francis used humility as a strength to be a more compassionate, authentic, and effective leader. 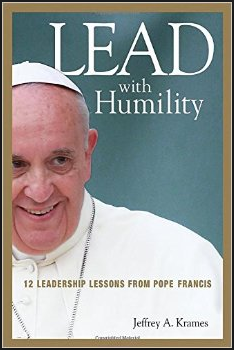 In Lead with Humility: 12 Leadership Lessons from Pope Francis, Jeffrey A. Krames shows how you can use humility as a source of strength, and apply the same principles that Pope Francis uses change the world, to change your workplace. Don’t change your organization. Reinvent it. “If your organization is in need of Franciscan reinvention, what steps can you take to turn things around? Always start with people and structure. Do you have the right people, and are they placed in the right positions? Does the structure of your organization maximize productivity, or are there places for improvement? Judging won’t get you anywhere fast. If anything, it will disconnect you from the people and information you need to be more effective. If you’re over-polished or too formal, you won’t connect with today’s generation. More people will stand with you, if you commit that you will not leave anybody behind. “Six months after he became pope, Francis said very directly that he does not see the Church as only for the purest among us; he sees the Church as a ‘home for all.’ He declared that the Church should not a be a ‘small chapel focused on doctrine, orthodoxy, and a limited agenda of moral teachings.’ His goal is a lofty one. Leave no one behind. As a result of the still-recovering global economy, most corporations and other organizations have learned to do more with fewer people. This is why world employment figures are down in most countries, most notably in European countries such as Greece, Italy, and Spain, where unemployment rates are an eye-popping 25 percent, and twice that for younger demographic groups. Your noncustomers are your potential future customers. 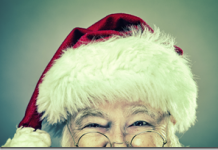 “Peter Drucker called potential customers noncustomers. It was Drucker who said that 90 percent of the information gathered by any institution comes from inside the organization. That is where most organizations get it wrong, explained Drucker; they need to look outside–for example, to the marketplace–where the most important things happen. We all have our blind spots and biases. And we have to deal with them every day in on an ongoing basis. And with time, we’ll get better at managing them. Self-awareness helps us start the process for improvement. “Many of the key obstacles in Francis’s life came before he was pope; Bergoglio’s considerable leadership skills were born out of a life of inner struggles. Bergoglio was 76 years old when he was elected pope. For a society that is, in large part, built for youth, he is an elder statesman. Few of us, if any , in any country, are able to land such an impressive and impactful position at that age. People are usually retired by 75 (if not 65) . Yet for his many years, and even though Francis is a man of great wisdom, he still has to battle, for lack of a better phrase, his natural biases, and inner conflicts. Think about your big picture when you make decisions that matter. Even the little decisions will add up over time. Make them add up to something that aligns with your vision. Just getting people on the same page can go a long way to partnerships and collaboration. It helps build a shared vision of the future, so everybody can work towards something. Together. 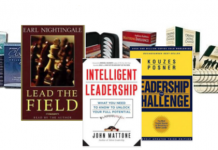 “Eliminate insularity within your own organization. This is a very important imperative. It is bad enough to be too inward looking and not know what is happening in the outside world and the markets in which your firm operates. 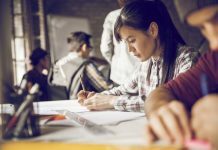 It may be worse for departments within your organization to be so insular that your people don’t even know what their colleagues down the hall are doing. We have all heard stories of friction and turf wars between departments in an organization, such as sales and marketing or marketing and manufacturing. In years past, these inward-looking divisions have been called silos. Focus on finding a better solution and people will get more resourceful and creative. “Look to the future for solutions. To avoid a static and inward-direct view of things, let go of the past, and avoid perpetuating Not-Invented Here syndrome. There’s greatness and potential in all of us. Humility can be your greatest source of strength. You can use humility to connect with people in an authentic way, stay open to learning, and follow a path of growth and service to others.